On reflection, Leicester City winger Riyad Mahrez described Tottenham Hotspurs meltdown at Stamford Bridge as the 'funniest moment' of last season. The 25-year-old enjoyed an unbelievable campaign for the Foxes as they pulled off the unthinkable by winning the 2015-16 English Premier League title. In what was a two-horse race for the crown, Spurs' squandered a two-goal lead at Chelsea to ultimately hand Leicester the title with the North London club going on to finish the season in third, behind fierce rivals Arsenal. "Funniest moment… I think when Tottenham were 2-0 ahead of Chelsea." "At half time it was like, all the team came to [Jamie] Vardy’s house and probably we are not going to be champions tonight. So I was like, what’s the point of coming today? 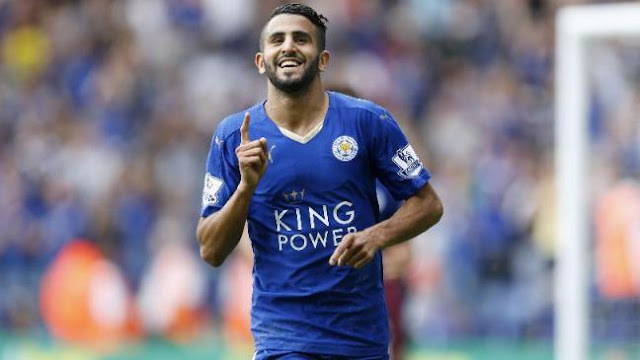 "Then 2-1, 2-2, it was funny," Mahrez concluded.